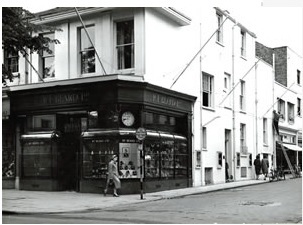 Founded in 1804 the business has been a presence on the Promenade, at the heart of Cheltenham town centre for generations. Based on unswerving and continuing commitment to style, service and quality, the business thrived. It was expanded in the 1930's by the purchase of RF Beard, from which today's highly successful business, Beards was created. The business has been family run since it first started and the current owners represent the fifth and sixth generations of the family to run the company. All are strong believers in upholding the original company's passion for design combined with the finest traditional values of customer care and respect. Indeed, investment in training is taken most seriously by the company as it recognised that excellence begins and ends with the knowledge and professionalism of its staff. 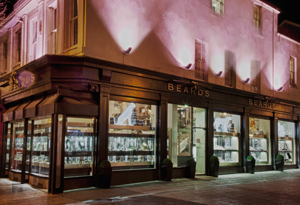 The company have expanded and Beards Jewellers opened in a new store on Bond Street, London. Providing the same high quality, uniquely made jewellery all in house. 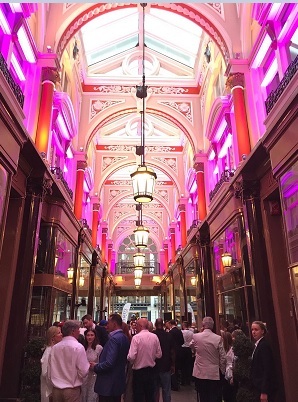 Alex Rose, Managing Director says "We are not just another jeweller. Whilst our heritage may be traditional our jewellery and watches are certainly not. Our team here is always searching to create unusual jewellery and source watches that appeal to the sense of the contemporary. We don't replace the same stock constantly, we also want to offer our customers something stylish and exciting."